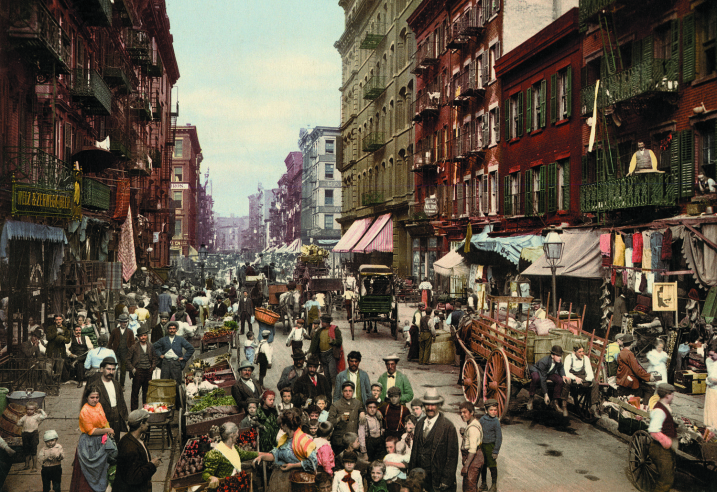 My Modern Met recently published some of the earliest color photographs taken in the United States. They are amazing. 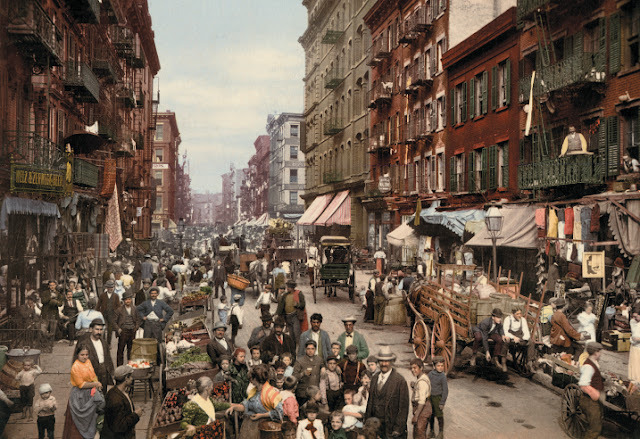 This shot below, of Mulberry St., looks like it came straight from The Godfather/G2....if they had hired more extras. You can jump to the article here. 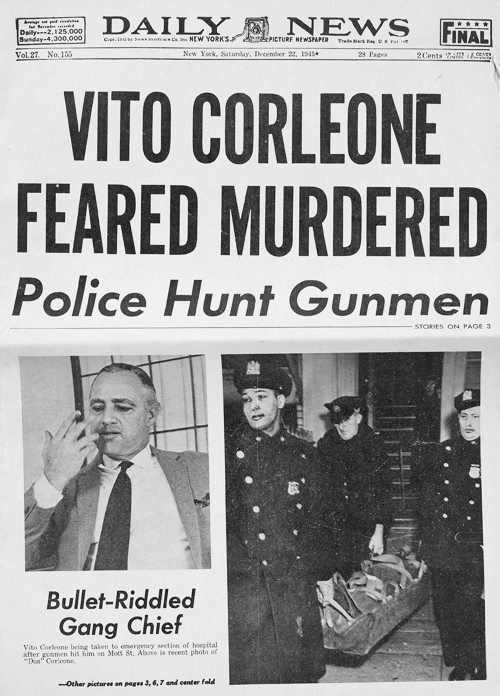 Prop newspaper from The Godfather: "Vito Corelone Feared Murdered"
MICHAEL: You have to answer for Santino, Carlo. MICHAEL: You fingered Sonny for the Barzini people. 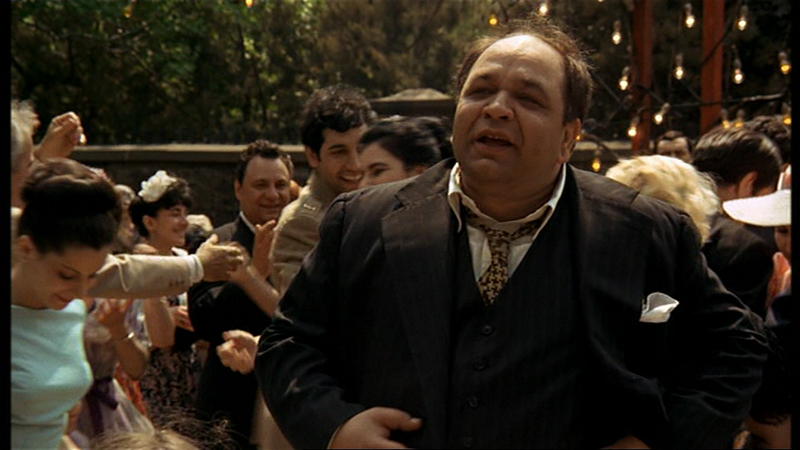 Ahhh that little farce you played with my sister -- you think that could fool a Corleone? CARLO: Mike, I'm innocent -- I swear on the kids, Mike -- Please, Mike, don't do this to me. MICHAEL (as he pulls up his own chair) Sit down. MICHAEL: Barzini's dead. 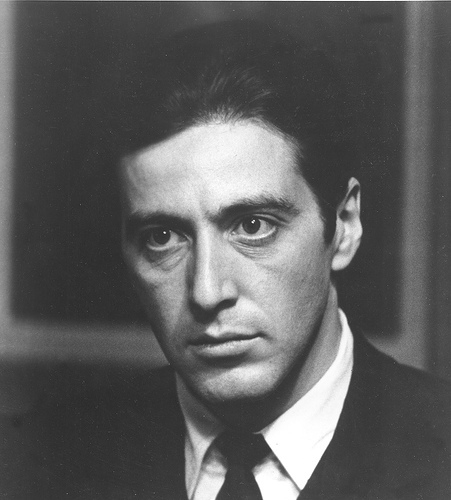 So is Phillip Tattaglia -- Moe Greene -- Strachi -- Cuneo -- Today I settled all Family business, so don't tell me you're innocent, Carlo. Admit what you did. (then, to Neri) Get him a drink. On My Plate--James Kiester's food blog--today reprinted Jack's reconstruction of Pete Clemenza's spaghetti sauce (from The Godfather) in a post titled "Big Movies & Big Food." The article is here. Here's a great way to kill about thirty seconds. 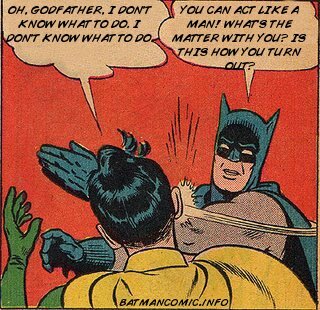 Go to the Batman and Robin Comic Generator. Here is a re-enactment of the study scene between Johnny Fontane and Don Corelone.